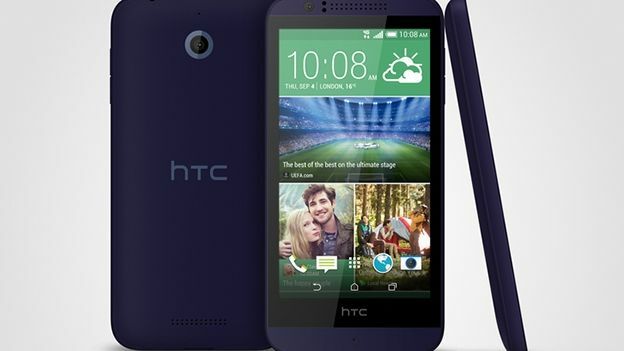 HTC has unveiled a smartphone that it is describing as its “most affordable” 4G smartphone ever. The HTC Desire 510 comes with a Qualcomm quad-core Snapdragon 410 processor, 4.7-inch screen, 1GB of RAM, 8GB of on-board memory and an expandable microSD card slot. While it's hardly going to break any records, it should mean that it is able to deliver smooth video playback and browsing. Other features include a 5MP rear-facing camera. It also comes with a front-facing VGA. Battery-wise, it comes with a 2,100mAh rechargable Li-polymer. According to HTC, that should be enough for 17 hours talk time or 646 hours on standby. Other bits and pieces include being able to buy the phone in either Terra White or Meridian Grey. It'll also work with HTC's DotView case. Despite claiming that the Desire 510 “represents truly premium mobile experience at a highly affordable price”, HTC didn't say how much the smartphone would cost. It hasn't said when it will land in the UK either.